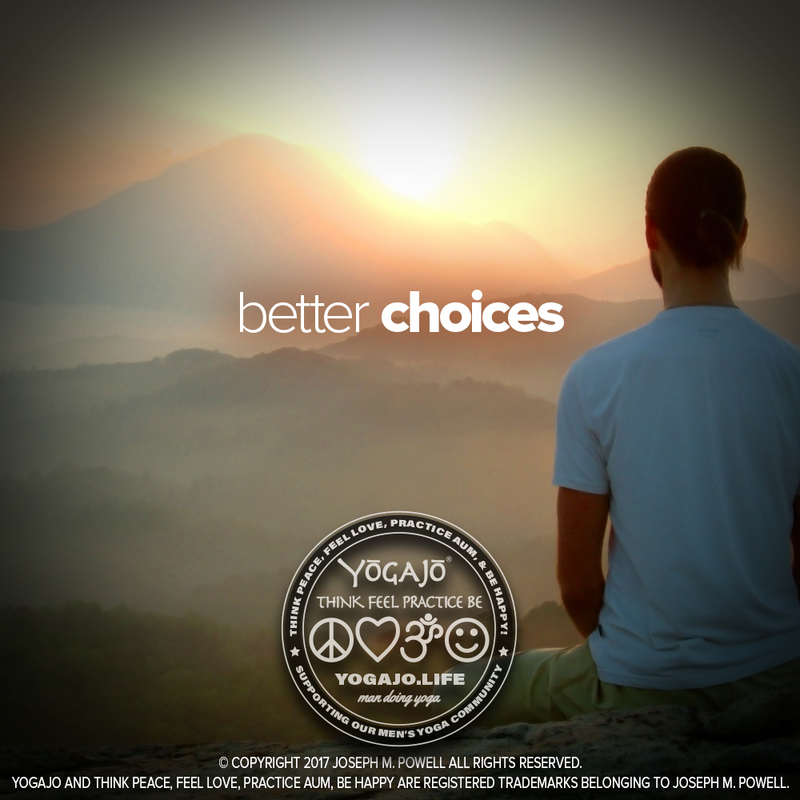 MANTRA: MAKE BETTER CHOICES — During my daily meditation, I sometimes cringe when I think of the mistakes I made that day. I've gotten aggravated by clients calling me up to give me work, frustrated by friends who want to call me after 9pm, and fed up with my family who expects me to be an active member. Here, I take a deep breath and give thanks for people who trust my talents, share friendship, and love me for who I am. I strive to make better choices. THE INTENTION OF MY NEW MANTRA for the past couple of months has been to make better decisions. At first, it applied to big things like my move to California, closing a business in North Carolina, and opening a new business in Palm Springs. But now I see this smart and obvious mantra making the biggest impact on the little things like what I buy at the grocery store, what time to go to bed, and taking showers. Keeping this mantra close to my heart and repeating it when faced with a choice, any choice, I find I not only make better decisions, but I learn a lot about myself, too. For some reason, around 10 pm I turn into a six-year-old. I don’t want to take a bath, I don’t want to go to bed, and I want to eat ice cream. I don’t know why this is, but it makes me stinky, tired, and fat. None of those things are a personal goal of mine. I know that I sleep better when I am clean. I know that when I go to bed at a reasonable hour, I feel better. I know that eating late at night is a child’s attempt to delay bathing and bedtime. Using the mantra “make better choices” is a moment that I take a deep breath, think sincerely and make a plan to go forward. I have recently been looking at how I shop for groceries. For me, not buying “snack” food is a better choice. I can’t seem to open a bag of chips without finishing the entire bag. I have been eating more vegetarian meals, mostly because they are easier to prepare. I also have less trash. I run, do yoga, and move so that I have to take a bath. I go to bed early because I like my mornings. Even so, I still find myself making bad choices.